Buy 1 get 1 for a Penny on Vitamins, Nutrition and More at Holland & Barrett Stock up on your favourites for less when you shop the Penny Sale at Holland & Barrett. Buy 1 Get 1 Half Price on Selected Products at Holland & Barrett Stock up on your favourite products for less at Holland & Barrett. 15% Off Full Boxes at Holland & Barrett - Including Nakd Bars, Bounce Balls and More Pick up a box of your favourite tasty treats from Holland & Barrett and save yourself 15%. Free Delivery on Orders Over £20 at Holland & Barrett Spend just £20 to qualify for free Standard Delivery at Holland & Barrett. Free Next Day Delivery on Orders Over £35 at Holland & Barrett Need your order in a hurry? Get free next day delivery when you spend just £35 at Holland & Barrett. 50% Off First Healthbox Orders at Holland & Barrett Get personalised vitamins and supplements straight to your door every month with the Healthbox from Holland & Barrett. And with 50% off your first box it only costs an average of 51p a day! 3 for 2 on Selected Food and Drink at Holland & Barrett Choose from a fantastic range of snacks and drinks to suit every diet including Vegan and Gluten Free! 50% Off Selected Sports Nutrition Orders at Holland & Barrett With 50% Off why not stock up on your favourite sports nutrition? Or perhaps try some new ones! 10% Student Discount at Holland & Barrett Discover 10% off Holland & Barrett for Students. Healthy living starts with Holland & Barrett, and as a worldwide favourite for wellness products and health foods - this is the place to go when you want or need to make changes to your diet and lifestyle, for the better. Here you can find a plethora of vitamin and mineral supplements, food, drink, beauty and much more. With more than 150 years experience behind the company, the experts at Holland & Barrett will always be at hand to advise you on the perfect products to suit your body’s needs. This is one company that is innovative in its products and a true pioneer of the health industry. Staying close to nature, you’ll only find the highest grade of ingredients here, that are ethically sourced and kind to the environment. This is where you’ll be able to source active nutrition for every part of your being. Shop Food & Drink for specialist foods and find a bountiful Free From section, as well as superfoods, and goods for healthy home baking. With a brilliant offering in Sports Nutrition and Weight Management too - you’ll find everything and more that you need to get yourself in optimal health here. At Holland & Barrett you'll get variety, so don't wait to discover The Health Hub online to get informed and inspired about your wellbeing today. How do I use my Holland and Barrett discount code? Your savings will be applied and any offers which do not require a discount code will be applied automatically so you can check out securely. Sign up for emails from Holland & Barrett to stay in the know about new exciting products and exclusive deals too! Does Holland & Barrett offer student discount? Yes, simply enter your NUS code at the Holland & Barrett checkout to receive your student discount. Can I purchase a Holland & Barrett gift card? This isn’t currently an option, however, you can find lots of fantastic gifts available to inspire every occasion. When is the Holland & Barrett sale? 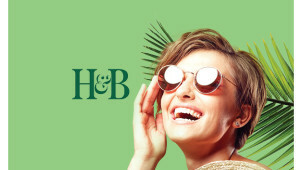 There will be seasonal sales and Holland & Barrett often hosts a penny sale when you can get some items for just an extra penny when your purchase a full priced product. Keep checking the Offers page to see what discounts you can find. Can I get Holland & Barrett free delivery? Yes, when you spend over £20 on its products. Click & Collect: £0.95/FREE on £20+ orders (order before 7pm for next working day). Parcel Lockers/myHERMES ParcelShop: £2.99/FREE on £20+ orders. Taking care of yourself is paramount, and it’s no secret that enhancing the health and lives of others has always been at the core of Holland & Barrett’s company ethos. Get back to a natural way of self-care with the selection of products from Holland & Barrett. It provides people everywhere with the highest quality of effective products, all for less with a Holland and Barrett discount code from vouchercloud. For every ailment and to maintain an active and fancy-free way of life - be good to yourself with Holland & Barrett. Holland & Barrett has an exciting rewards scheme in place called ‘rewards for life’. Free to join, every time you give you’ll get a little something back with 4 points to collect for every £1 you spend. On activating your card, you’ll get 150 points extra which equates to a healthy £1.50 in credit. You’ll then be sent reward coupons to spend on a world of fantastic goods at everyone’s favourite health and wellness store. Stay active and on the move with the range of vitamins from Holland & Barrett. With a Holland and Barrett voucher you can save on vitamin D supplements to make your days extra sunny, vitamin C for immunity, all the B vitamins and much more! To target something in particular or for a general boost, there’s sure to be a vitamin to wow you. Make these part of your seasonal changes today!